The flagship KC-990 is a performance powerhouse filled with high-end features. Offering four onboard DSP effects, four stereo input channels, a stereo aux input, and support for an XLR vocal mic, it's a great all-in-one solution for players with large keyboard setups and small groups performing with electronic instruments and backing tracks. The KC-990 delivers big, full sound for both stage monitoring and PA use, thanks to its stereo speaker configuration and 320 watts of total power. And with Stereo Link capability, you can seamlessly add a second KC-990 when you need more inputs and broader sound coverage. For over two decades, keyboard players everywhere have relied on Roland's KC amps for their powerful high-fidelity sound, onboard mixing features, versatile connectivity, and lasting durability. The latest generation carries on the time-honored KC benchmark of quality while offering new enhancements tuned for the needs of today’s working musicians. With a KC amp by your side, you;re in complete control of your stage rig, so you'll always sound great and play your best. And that’s worth it every time. The KC-990 offers full-range stereo sound reproduction with 320 watts of power (180 watts x 2), two newly designed 12" speakers, and two custom horn tweeters. 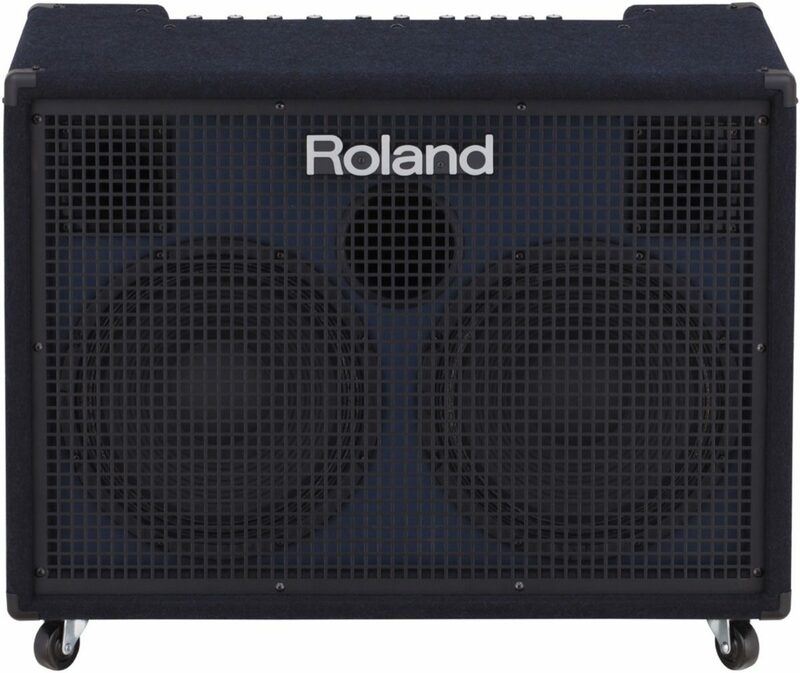 The cabinet features Roland’s patented twin bass-reflex design, which delivers extended low-frequency response without distortion. This allows the KC-990 to accurately reproduce the wide frequency range of 88-note stage pianos, organs, and synthesizers, as well as rhythm machines and other electronic instruments. 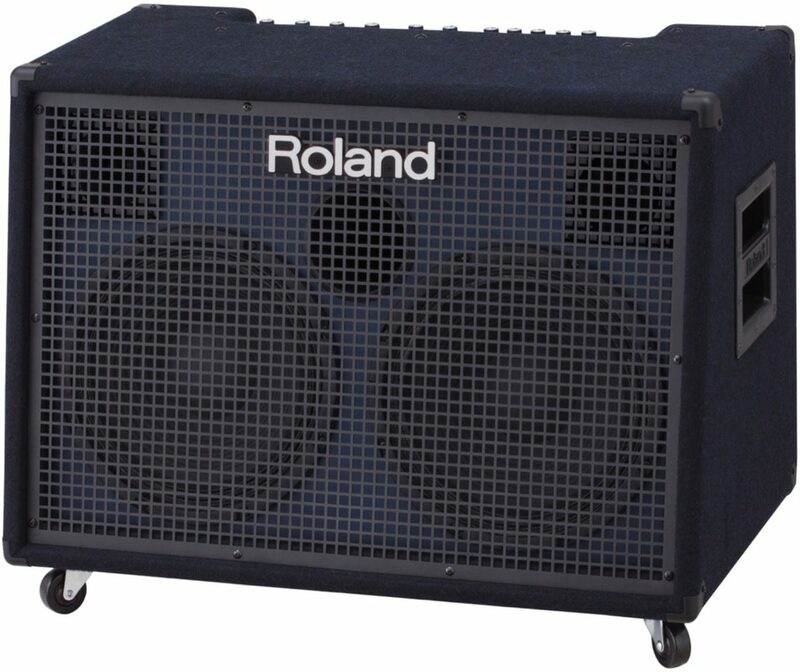 Roland's most powerful KC amp is a complete stereo sound system in a single package, making it ideal for backline amplification, stage monitoring, and even main PA use. With four stereo line input channels available, you can connect keyboards, percussion pads, drum machines, and more. There’s also a dedicated auxiliary input to plug in a smartphone or music player for backing tracks. Channel 1 includes an XLR input too, allowing you to connect a vocal mic for even more versatility. The Aux In channel supports 1/8", RCA, and 1/4" connections, and features a handy monitor function for working with guide tracks on stage. The KC-900 comes equipped with four different effects for sweetening your live sound. 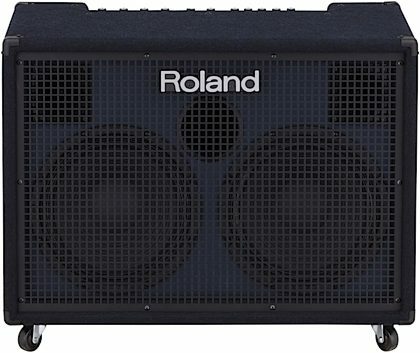 The chorus effect is derived from Roland's world-famous JC-series amps, providing unmatched depth and dimension through the KC-990’s stereo speakers. The amp also includes tremolo and rotary effects that work great with organs and electric pianos, plus a lush stereo reverb for vocals and instruments. By connecting optional footswitches, you can turn the effects on/off and control rotary speed hands-free while performing. 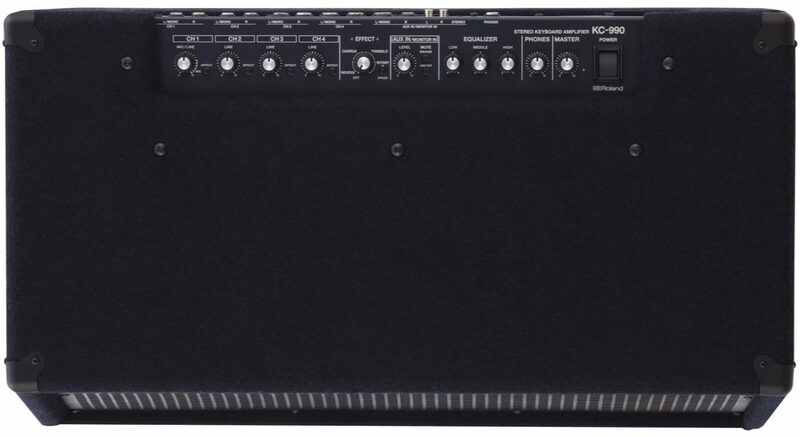 With its rear-panel connectivity, the KC-990 integrates easily into any playing environment. Stereo line outputs are provided on both XLR and 1/4" inch jacks, offering simultaneous connections for interfacing with PA systems, stage monitors, and recording devices. 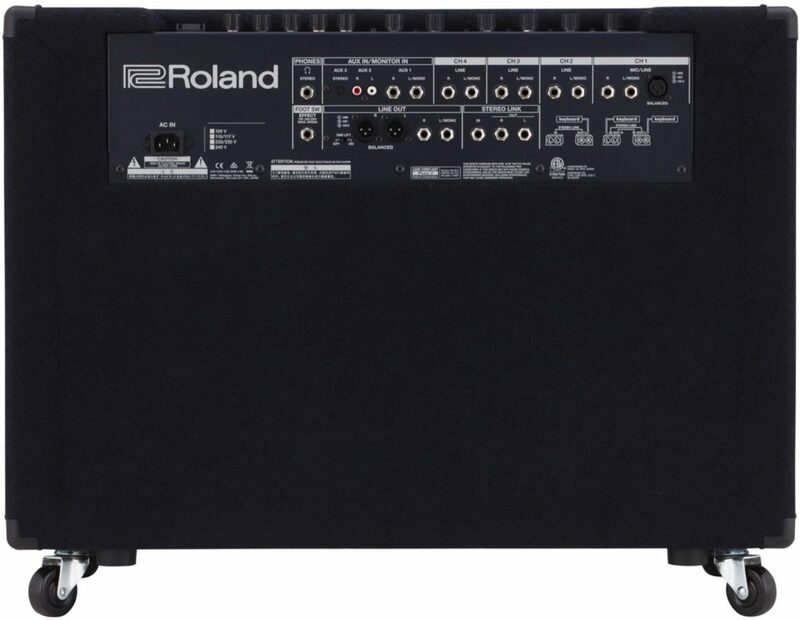 zZounds is an authorized dealer of Roland products.